Catch the promo fare until the end of the month! 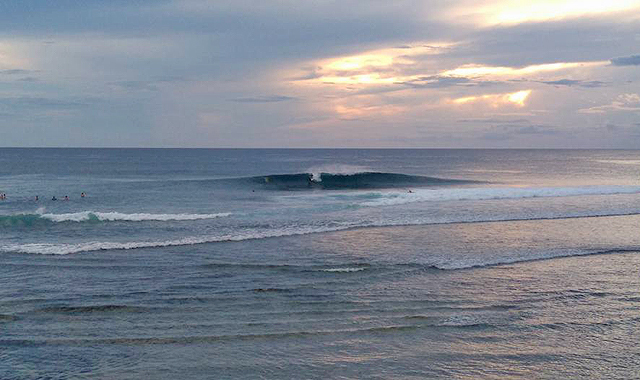 (SPOT.ph) Siargao, located south of the Philippines, is known for its world-class barreling waves called Cloud 9. 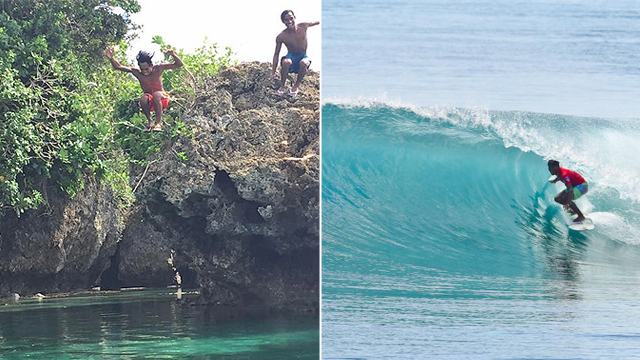 It's so famous that pro surfers from all over the world fly to this teardrop-shaped island every September to battle it out in double overhead waves and hail who's the best in the global surf scene. Siargao's other claim-to-fame are the sandbars, white sand beaches, rock formations, blue lagoon, hectares of mangroves, and abundance of delightful seafood. 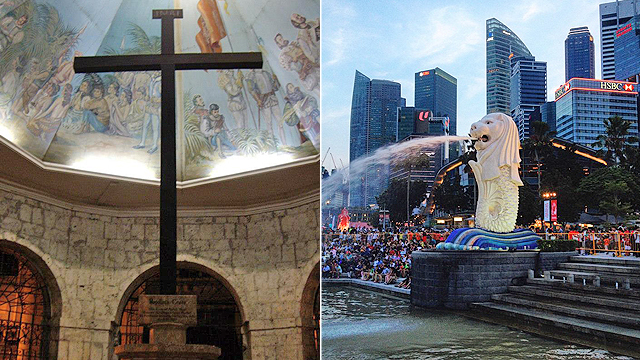 Suffice to say, it is paradise and you can now travel to this amazing island for just P3,277. Skyjet Airlines introduces its 80 to 100 seater British Aerospace 146 aircraft which will fly from Manila to Siargao starting February. 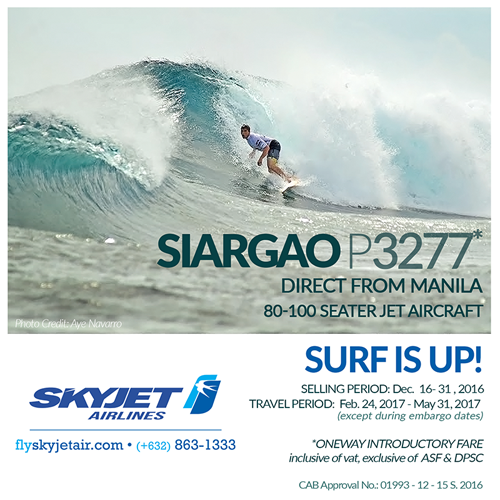 No more booking separate trips from Manila to Cebu, then Cebu to Siargao. The one-way introductory fare is available until December 31, 2016 for flights from February 24 to May 31, 2017. For more information, visit Skyjet Airlines's website.